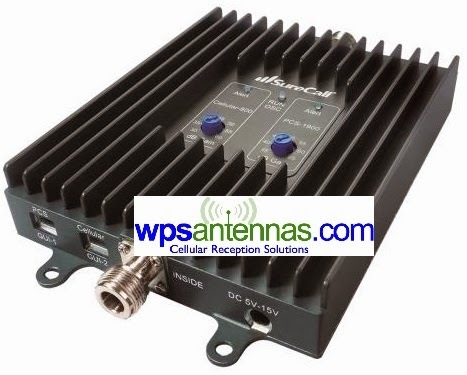 The SureCall Flex 2Go kit, the finest cellular amplifier available for your vehicle! Now FCC Approved and available by May 1st, 2014 the SureCall FLEX 2 GO is the first device from Cellphone-Mate to be approved under the new F.C.C. rules! The Cellphone-Mate SureCall™ CM-FLEX2GO provides completely wireless boosting of signals for multiple users simultaneously. It supports all cellphone handsets and service providers in the PCS or Cellular frequency bands, and is perfect for use in vehicles. A sophisticated Protection circuit also prevents damage to the amplifier due to interference or improper installation. Some cell signal is required for the Flex 2Go to enhance cellular signal coverage. The weakest cell signal for the Flex 2Go to work is low -100dBm to high -90dBm. dBm is an abbreviation for the power ratio in decibels of the radio power per one milliwatt and indicates cell signal strength.